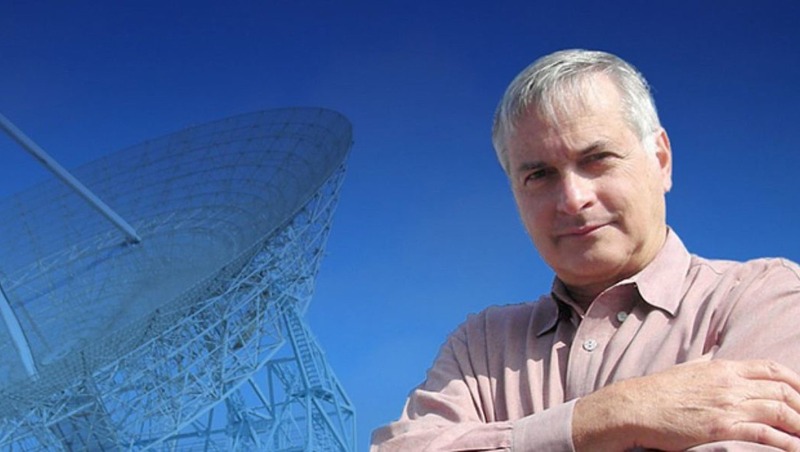 When the New York Times reported Saturday that the Pentagon had had taken part in a partially declassified program at a cost of $22 million to investigate UFOs, called the Advanced Aerospace Threat Identification Program (AATIP), SETI Institute senior astronomer Seth Shostak told Inverse magazine in an interview "that there is something unnerving about this story, but it’s not the UFOs.". For years, the Pentagon program investigated reports of unidentified flying objects, according to Defense Department officials, interviews with program participants and records obtained by The New York Times. It was run by a military intelligence official, Luis Elizondo, on the fifth floor of the Pentagon’s C Ring, deep within the building’s maze. The shadowy program — parts of it remain classified — began in 2007 says the New York Times, and initially it was largely funded at the request of Harry Reid, the Nevada Democrat who was the Senate majority leader at the time and who has long had an interest in space phenomena. Most of the money went to an aerospace research company run by a billionaire entrepreneur and longtime friend of Mr. Reid’s, Robert Bigelow, who is currently working with NASA to produce expandable craft for humans to use in space. Watch video below. “If the aliens were actually visiting us since 1947, when they made that navigation error in New Mexico, you’d have really good evidence,” Shostak says. “It wouldn’t all be in the hands of the government — and not just the government, our government. If the aliens had bothered to visit any other countries, wouldn’t they have evidence? I find it hard to believe that everybody’s covering it up." This past fall, while speaking to Futurism at the Worlds Fair Nano NY, Shostak “bet everybody a cup of coffee” that the existence of intelligent extraterrestrials will be confirmed within the next two decades. In fact, Shostak has often said that he expects advanced alien civilizations will be thousands if not millions of years ahead of us. Yet, Shostak seems to ignore the possibility, no matter how remote, that alien life might have have conquered the daunting time problems of travel across the vast reaches of the cosmic ocean and entered our star system. "Do you think that we've missed signals along the way?" SyFyWire's Don Kaye asked Shostak during a recent interview about the movie, The Arrival. "That we're totally unaware of. That there are possibly signals that are being transmitted in such a way that we're too primitive to pick them up?" "Well, I don't know if we're too primitive," Shostak answered, "but I agree with you. I'm sure we've missed signals. I'm sure there's signals coming from somebody that we're totally unaware of because we're not aiming the big antenna in the right direction, tuned to the right frequency, and all that sort of stuff. I mean we can easily miss that. The universe is 13 billion years old, right? There's been plenty of time for intelligence to pop up on lots and lots of worlds out there, and there's lot of them that are older than the Earth, so they may have a tremendous head start. So yeah, I'm sure we've missed a lot of clues." Shostak was then asked if he thinks it's feasible at all that we could be alone, or are the odds are just against it. "I think the odds are against it. I gave a talk at the Griffith Observatory less than a week ago and I started off by asking how many people thought aliens were really out there, and essentially all the hands went up, but not all. Then I asked how many people thought they were probably not out there, and there were a couple of hands that went up. But the reason I don't agree with them is because, if we've learned anything over the last 20 years, it's that essentially every star has planets. "We didn't know that 20 years ago. We know it now. So that means the number of planets that are kind of like the Earth, the kind where you might want to make a real estate investment, where you might have an ocean or an atmosphere — the kind of things that would be useful for biology — that number in our galaxy is maybe 50 billion or 100 billion. "It's tens of billions, and I don't want to bore you with big numbers but that's a lot of planets. And that's just our galaxy. You can photograph a hundred billion other galaxies, and each of them might have a hundred billion planets like Earth. "And so what that means is that if Earth is the only place where anything interesting is happening, you're living in a miracle! And you may think you're living in a miracle, but if you think that in science — if you think you're really, really special — it's usually not true."